Best Tips and Team Compositions For Winning Heist Mode in Brawl Stars | Brawl Stars UP! Hello everyone, we are here today to give you the Ultimate Guide to winning Heist mode in Brawl Stars! Heist mode is one of the most interesting game modes in Brawl Stars. Each side has to protect their own Safe. The side that destroy the enemies Safe first, or has more Safe’s HP at the end of the match will win the battle. The 3rd Team: Dynamike, Crow and Bull. 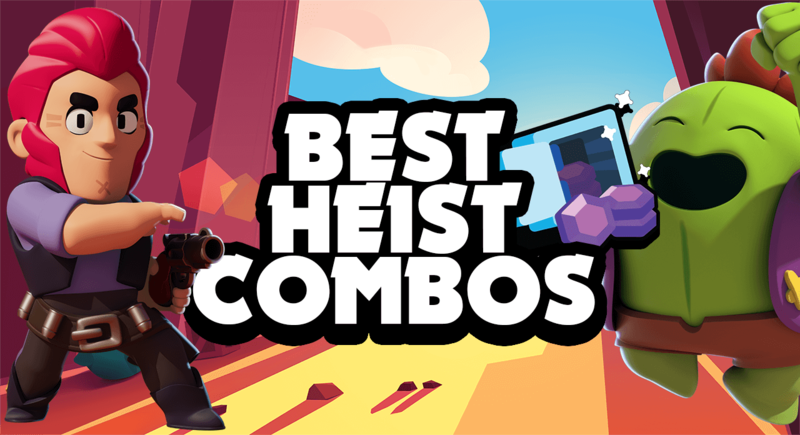 While playing Heist, your main objective is to destroy the enemies Safe, not like the other modes. Just do anything you can do deal as many damage as possible. It’s crucial to note that each member in your team should only focus on his/her own side. This is so important because it prevents the enemies from sneaking into your Safe. It’s always a must to have a Brawler like Barley or Dynamike in your team, which can attack over the walls with insane damage and provide great Arena control. You also need a tank like Bull or Primo, who can always charge right to the enemies Safe, breaking all of the obstacles, helping your side get to the Safe easier and distracts the enemies for the teammates behind. Choosing the right team is just so important in any battle. If you are not using the right team with the right synergy, you are not going to win. The first combo consists of 3 best Brawlers in the game right now. Bull, Barley and Colt. Barley provides great Arena control over walls, perfect for all teams. The damage-over-time effect is especially insane against any still target aka the Safe. Colt is one of the best brawlers for Heist, he does so much damage with the Super that can break walls from very far away. Getting to the Safe is the main object here. The next is Bull. Make sure you always have a tank in your team for Heist. The tank player should play aggressively, aim for the Safe, distract all of the enemies, giving your teammates space and time to attack the safe. Bull can easily get through the walls and get to the Safe. Keep spamming the Super on the Safe to wipe out of those obstacles blocking your teammates. While using Barley, always try to utilize the walls. Stay safe behind them and attack the Safe from far away. Don’t forget to spam the Super when there is any big fight right next to the enemies Safe. This team is also very OP but most importantly it is very easy to use for all new players. Basically while using this team, you just need to rush to the enemies, push them back to their Safe, making the most of your HP advantage to attack them from a close distance. Don’t be scared of getting killed, it’s fine. Your team is like a meat wall. Event if 1-2 Brawlers getting killed, you still can do a decent amount of damage to the safe. The teammates who are just killed can be back to defense immediately once they respawned in case the opponents try to rush to your side. Since your team are all low-med attack range, always spread out as much as you can and push from all three sides. While using this comp, it’s a must to learn how much damage the enemies can do to your safe so that you can just ignore them and go straight to their Safe. Having high HP allows you to do this. You can also use the other Legendary brawlers like Spike or Leon instead of Crow here. Dynamike does more damage than Barley, however he doesn’t have larger splash radius. By having a great the attack range, he easily can throw mines over the walls and do insane damage in Heist in a short period of time. Just stand next to the mines, heading to the place you want to jump and get closer to the Safe very easily. This is one of the most important tips you need to know while using Dynamike. Use the Spike as the middle one. Use his Super right on the Safe to deal damage and helping Bull there. when did u get mod? do u have to post a guide or something? i disagree with some things on the tier list, but the other tips are great! 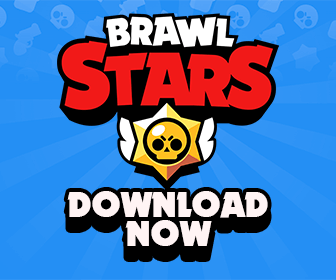 clash royale or brawl stars? I will not join your clan .. I will join your band… If I had the game ?? Jessie is awesome in Heist as defensive, but not as good as offensive. I think crow would be decent because for attacking it could leap right onto the safe and deal damage with all the daggers when it lands with his special/super/ultimate. Very true. Those three are definitely the best in this gamemode. Destroying the barriers around the safe is also good so that your teammates can attack from the front. Crow is decent from a range and may be good on defence. Does the poison affect the safe too?